Last night I wasn’t able to write more, felt so sleepy and decided to head off to bed and get some energy back from an early day yesterday 😀 Then you see, I am able to write here now and have some spare time to enjoy my breakfast, checking my homework and check some update in my email and news. The day starts with smile and enough spirit to do all the activities which are waiting for me for the whole day. So many times I keep coming back to this photo, I don’t know why. I posted in instagram which was automatically posted in my twitter and now here… hmmm, maybe a statement for something? I don’t know… really, I don’t really know! 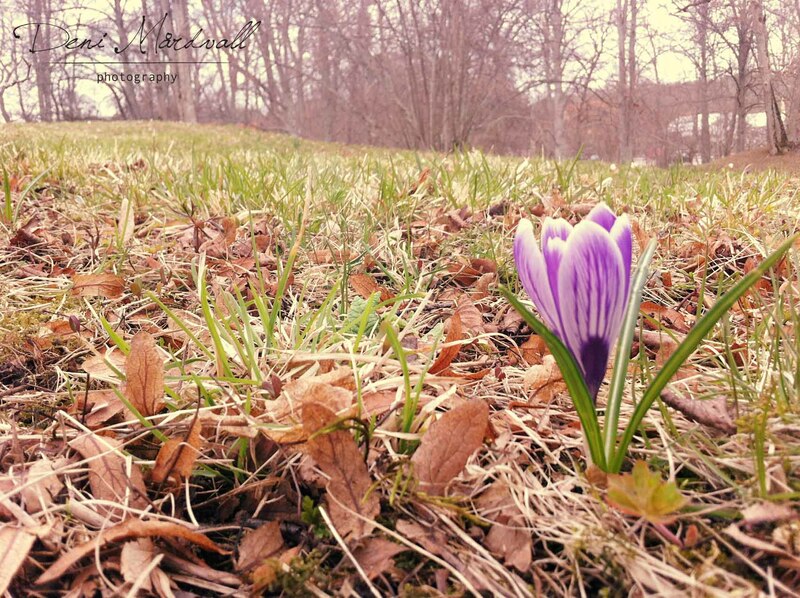 So far as I know, this picture means something for me 🙂 Actually it was taken when we went to Tyresö palace, yup… in last weekend and as soon as I saw this crocus, I grabbed my phone and captured it. I would like to go again there when the weather is much better and the sun is shining.